Help us get to our goal of 1,000 sponsored students! Help buy lunches for the students. Honor your loved ones by providing lunch to OFCB school in Bayonnais, Haiti. Explore the many ways to give including sponsorship, one time gifts, and Amazon Smile. You could also host a fund raising event. Go Experience Bayonnais. You will worship, you will play, you will grow, you will laugh, you will be challenged, and you will never be the same. Sponsorship is the best way to give. We would like to help you find that special child you can build a relationship with. Bellanta has been living with her mother since her father has moved to Chile. She wants to be a nurse after high school. Djenica stays with her mother. She enjoys coloring for fun. Chinaica is living with her parents. She likes to dance and sing. Scholarships Have Already Made a Difference in Bayonnais! Of the 40+ adults in leadership positions in Bayonnais, most attended OFCB school. Many received advanced degrees and have returned as teachers, doctors, nurses, agronomists, and dentists, all committed to making a difference in the Bayonnais community. OFCB (Organization of the Christian Force of Bayonnais) operates the ICB school, a medical clinic, and a Christian non-denominational church in the mountains of the Bayonnais region of Haiti, 100 miles north of the capital, Port au Prince. The area is home to tens of thousands residents, struggling for daily survival, many trying to support families with subsistence farming. Educational opportunities are limited, and the ICB school is a light of hope for the entire region. World of God, through your generous support of sponsorships and donations provides significant support for the school and the 2,000 students attending. 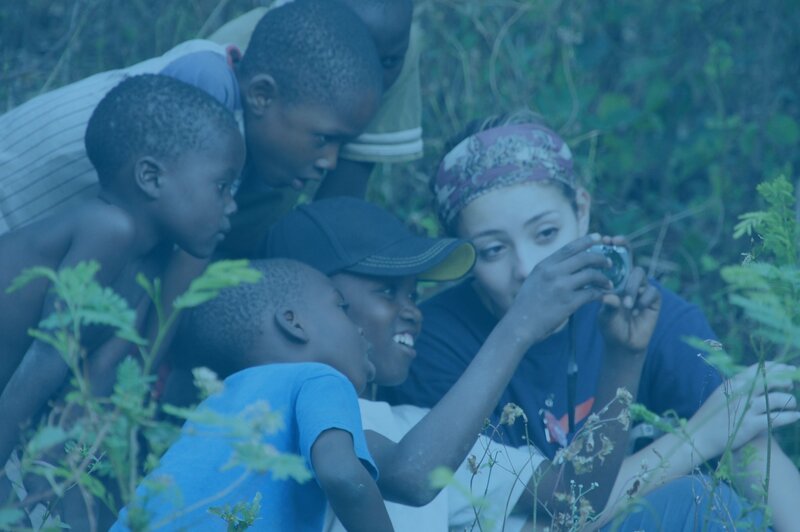 You are invited to travel with World of God to Haiti to see first-hand and experience the culture, the people, the children, and the work OFCB is doing. 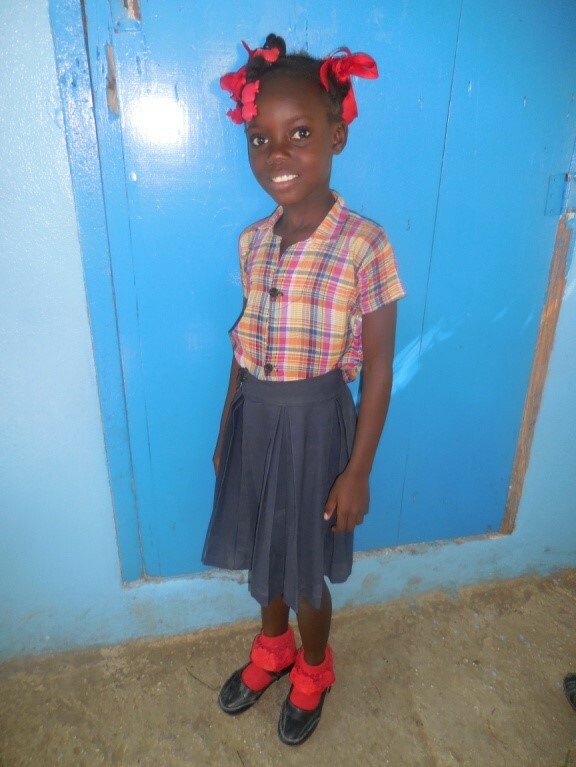 World of God provides support for OFCB school in Bayonnais, Haiti through student sponsorships. To empower and equip impoverished young people with life skills to become self-sufficient, impact their communities, and achieve their dreams. 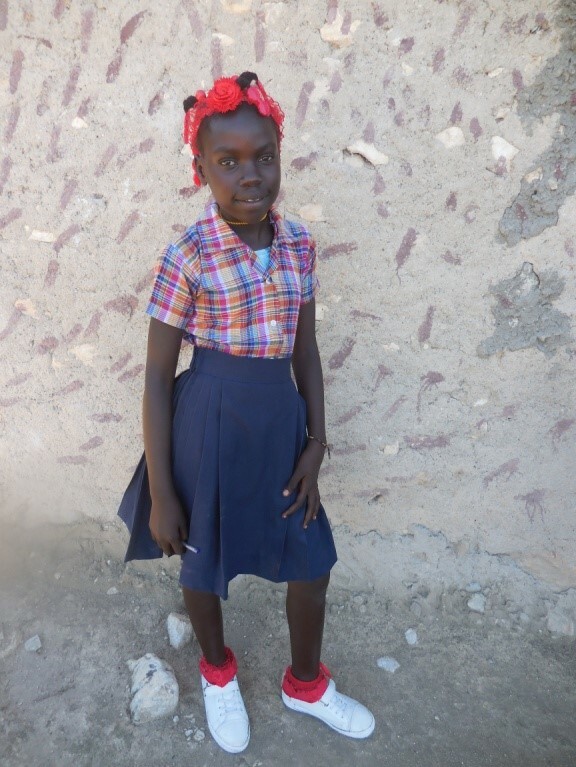 Your support of World of God can make a significant difference in the life of a young person in Haiti. Your sponsorship will enable a child to attend ICB (Institute Classique de Bayonnais) an accredited and highly rated school and create opportunities for their future through a quality education. The children love to receive letters from their sponsors. The letter doesn	have to be long, ask them about their studies and hobbies. You can tell them about your family, church and hobbies. Let them know you are praying for them. You can renew your annual sponsorship online here. You can also use this link to update your payment information. You can pay for your sponsorship with credit/debit card (we accept Visa, MC, Am Ex and Discover), Electronic Funds Transfer or by check. By: Melissa MacIver, SouthPark Church On March 27, 2019, a new team headed to Bayonnais - 13 in all, representing SouthPark Church, Light of Christ UMC, and Ballantyne Rotary Club. We were the first to go to Haiti in weeks, due to the recent civil unrest. Actionnel’s Spring visit to U.S.
Its that time of year again, when we are planning for Actionnel’s spring visit to the US. The dates are set for May 3–20th. Actionnel is available to preach on three Sundays (May 5, 12, and 19) and for fellowship/teaching opportunities at churches. He will also be available during the week for one on one or small group meetings, as his schedule allows. In November, we featured a Q&A with Pastor Actionnel Fleurisma who spoke to the challenges they face funding school operations and the impact that was having on providing a daily meal to the students due to the many headwinds (inflation, cost of imports, teacher’s salaries to name a few). You responded to the call!!! Watch as everyone helps out to make the school in Nicholas a reality! We have been blessed to provide a scholarship for a child. Our son, Matthew Daniels, told us about this opportunity. Our child displays the joy of childhood and also the struggle she goes through to attend school, walking three miles to get there. I continue to send her hair bows etc., and love seeing her smile as she wears them. After the scholarship began, I started hearing from Agneau. He is 13 now, in third grade, the youngest of seven children. He lives in a stone hut with a tin roof. His father is a farmer, his mother deceased. He walks 15 minutes to get to school in Nicolas. Last autumn, I went on our church mission to Bayonnais, Haiti. I was able to meet Agneau on our last morning. He was hesitant at first, but broke into a big smile when I told him who I was. We talked through an interpreter. He seemed slight for 13, and clearly had just shot up by the look of his trousers. What an eager appearance he had, what a bright smile. To see him, hug him and remind him that he and his family are cared for was a life experience. There is so much to be done to help our country and our world, how can this possibly make a difference? It is making a difference to Agneau. I have provided a scholarship for Jonalie Simeon for 3 1/2 years. It has truly been a blessing. I am touched by his letters and his gratitude for the opportunity to attend school. I chose him from a group of photographs of children needing a scholarship, and his somber expression tore at my heart. His parents are both deceased, an he now lives with his aunt and uncle. I started sponsoring Merlines education in 2010. She is 13 and in second grade. I send her small packages of girlie things – jewelry, pocketbooks, hair accessories, dolls and the like. Merline wants to be a nurse. Her favorite food is rice, and she loves playing soccer. She walks 30 minutes to school and thanks me profusely for paying her tuition. She prays for me in church regularly. 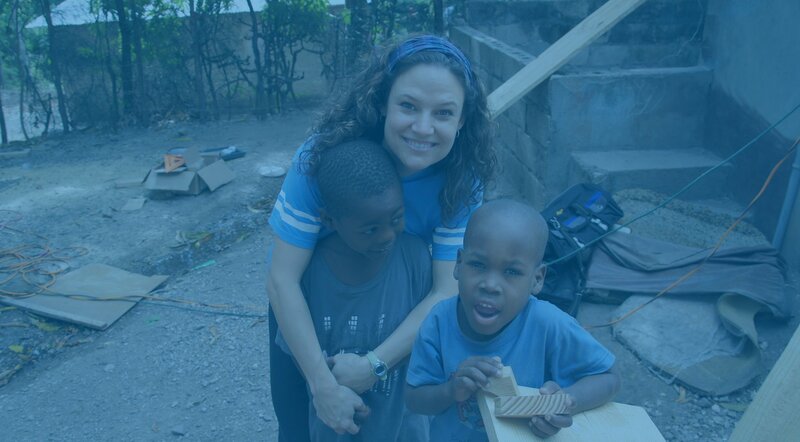 On our second medical mission trip to Haiti, we met Stephanie Alexandre. Since then, we have provided a scholarship for her education at the OFCB school in Bayonnais. She is nine, in second grade and her favorite subject is reading. She wants to be a nurse. Stephanie is typical of children in Bayonnais: Happy, with bright faces and loving arms. Education in the area was non-existent until the late 1990s. Now the 1,700 children and adults at the OFCB school are preparing themselves for the future. Most depend on sponsors for their education, uniform, books and one meal a day. The people of Bayonnais, even without adequate food, electricity and sometimes shoes and clean water, are happy people who show their love for us and God. Through this ministry, we think of Luke 12:48 - To whom much is given, much is expected. I was so fortunate to go to Bayonnais on a mission trip 3 years ago, spending time with Actionnel, and the lovely people in Haiti. I feel honored to support Abellanda, after seeing first hand the school, community, church and getting to know the children and adults living and teaching there. God certainly touched my heart in so many ways; mostly through the kids going to school there! One of these days, I hope to go back! I provide a scholarship for Instant Derisma, who turned 19 on January 1. He is in eighth grade and walks two hours to school. Instant wants to be an engineer. I am so committed to supporting this school that I got my Sunday School class to provide scholarships for five students. I went to Bayonnais to be a blessing and ended up being blessed beyond belief.